Sticking close to home this summer? We’ve got you covered with our favorite picks in our local areas. These tips translate if you’re traveling from far away, too! Check out the rest of our Staycation Summer series. Ready to try a theme park with your little ones but not ready to take on Walt Disney World quite yet? Sea World is the perfect training ground! It has the ideal mix of exhibits, shows, and rides … without being quite so overwhelming. 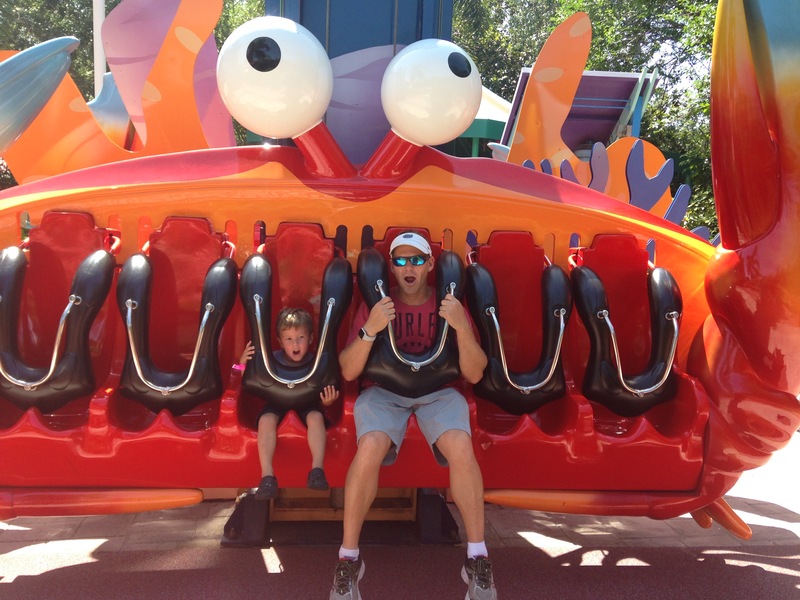 A day at Sea World can be much less costly than many other theme parks. Single day Sea World tickets start at $79.99 (if purchased online), but they often run specials when visitors can earn extra days free or receive discounts to sister parks, Aquatica and Busch Gardens. They are currently offering a “pay for one day, play all year” ticket. Your $99 admission ticket is good through December 31, 2017, with no blockout dates. One-day tickets do not include parking, however, which is pretty costly at $18. We learned the hard way it is a good idea for at least one member of the family to spring for an annual pass ($168) which includes free parking along with a 10% discount on food and beverages. If you have young children, Sea World offers an amazing deal! Children under 2 are free, plus children between the ages of 3 and 5 qualify for a “Preschool Pass” that grants them free admission. Another great thing about Sea World is that you can avoid waiting in lines almost entirely. The shows do fill up, but you can almost always get a seat if you arrive 10-15 minutes before starting time. We usually only see one show per visit, since my 3-year-olds aren’t very good at sitting still. We often plan to go to a show around lunchtime and let our kids eat while we are waiting. In addition to the shows, there are lots of other ways to experience Sea World’s amazing animals. 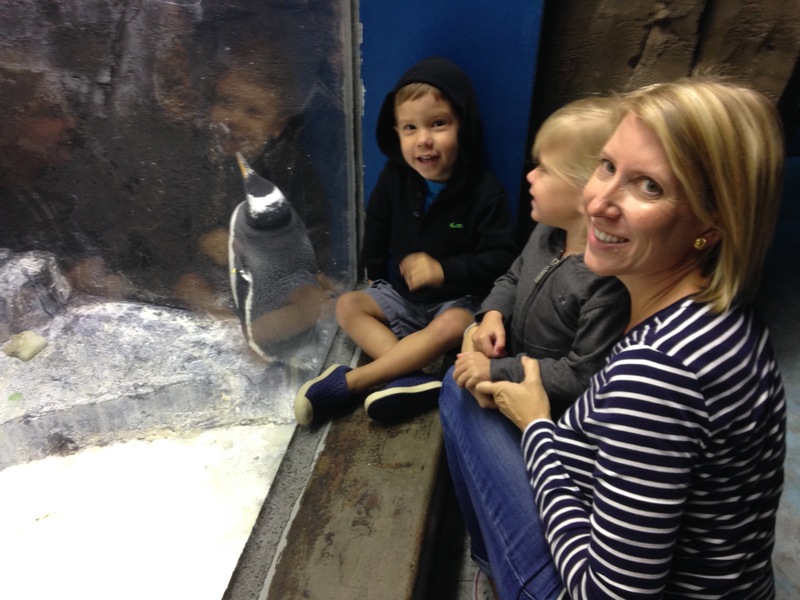 My kids’ favorite is the impressive penguin exhibit. The attraction includes a short ride where you follow a penguin on his adventurous first swim. You can choose to make the ride “wild” or “mild,” or bypass the ride altogether. Children under 42” are required to take the “mild” version of the ride. The “wild” version seems to include a bit more rocking and spinning. The ride ends in the penguin enclosure, where you get up close and personal with several different species of the adorable birds. The area is chilly (temperatures are kept right around freezing), especially if you are dressed for warm Florida temperatures. But there is a second viewing area where you can see the penguins from behind glass that is much more comfortable. You can see dolphins, seals, sea lions, manatees and more as you visit other animal habitats. Sea World’s impressive aquariums house sharks, rays, turtles, eels, and a variety of fish. You can walk through all of the animal viewing areas with no lines and no waiting! (This is important when you are traveling with two preschoolers) Additionally, the Wild Arctic attraction is home to beluga whales and two enormous walruses. The exhibit includes a helicopter simulator ride, but just like at the penguin habitat, you can choose to bypass the ride and simply view the animals if you wish. Sea World has several world-class roller coasters. Or so I have heard. I’m not a big roller coaster fan. The newest coaster, Mako, is Orlando’s tallest, fastest, longest, roller coaster. A new family friendly river rapid ride, Infinity Falls, debuts in 2018. 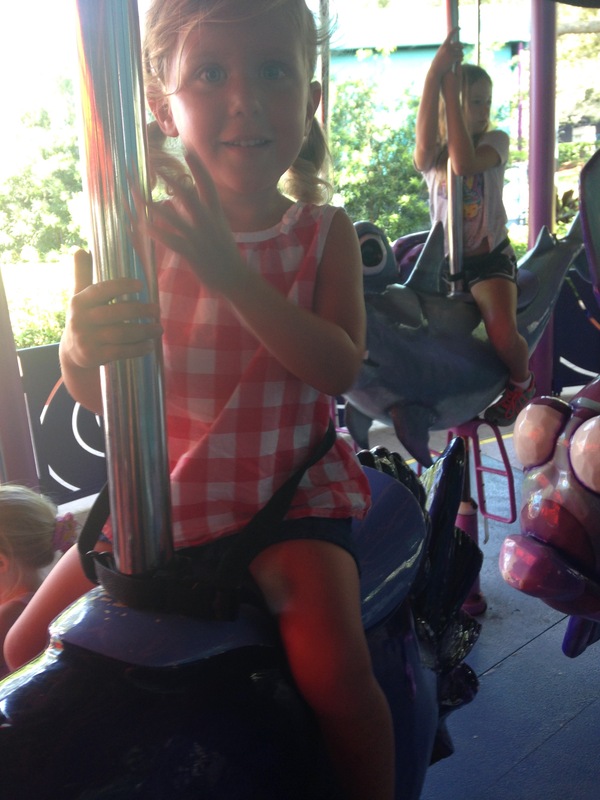 If you are traveling with little ones, you won’t want to miss Shamu’s Happy Harbor. This area includes several rides from the tame – the Sea Carousel, the lame (sorry) Seven Seas Railway, to kid-sized versions of theme park favorites. My son is our wild ride lover. His ideal day ends with rides on the Shamu Express roller coaster over and over! The Happy Harbor play area also features a small splash area and a large net to climb. Many visitors don’t even realize this kids’ area is in the park, so if you hit it early in the day you can ride (repeatedly) without waiting. The only thing I don’t love about Shamu’s Happy Harbor is the net climb. It covers too large an area with a few different entrances and exits for me to comfortably allow my kids to climb independently. And it isn’t really designed with the adult climber in mind! Sea World is large enough that even when it is busy, it never seems crowded. You can easily plan a visit that lasts only a few hours, or you can stay all day and take in the fireworks at night. They also hold special events, such as the Seven Seas Food Festival, featuring live music and special food and beverage selections. Sea World also does a great job of decorating and making holidays extra special, so we are always sure to plan a few trips for the Halloween Spooktacular and Christmas Celebration. We have used our Sea World passes even more than I thought we would. 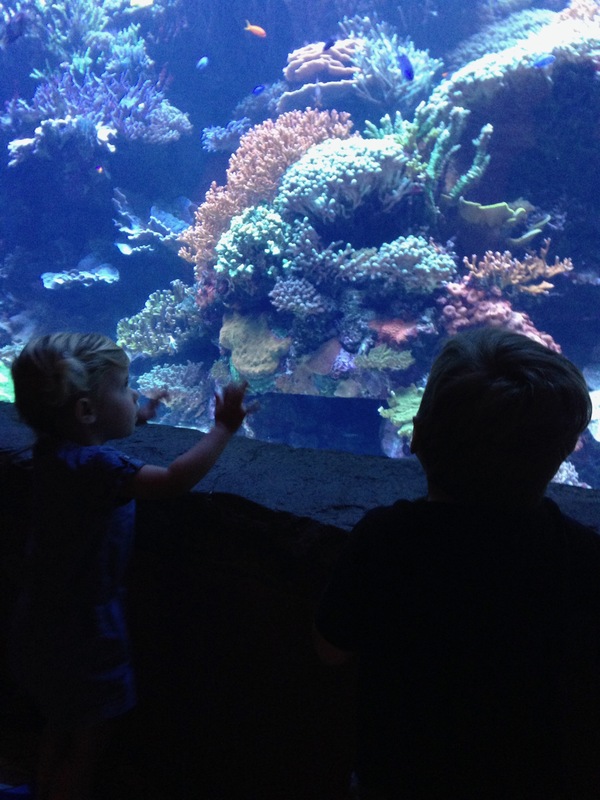 When we plan our family Sunday Fundays, Sea World is always my kids’ first choice. Whether you want to experience wildlife up close, ride thrilling roller coasters, see world-class shows, or visit a water park, Sea World can’t be beat! Enjoy your adult time too — order the best limo bus Orlando offers and head to Universal’s CityWalk.